Bruker 800 spectrometer has an Ascend magnet with active shield, 24 position SampleCASE and a Bruker NEO console. It is equipped with 5mm Triple resonance inverse detection TCI cryoprobe with automatic tuning and matching. Agilent 600 CP NMR spectrometer has a Magnex 600/54 active shielded premium magnet, 96 sample Agilent 7620-AS Autosampler and Varian NMR system console. It is equipped with 1H/13C/15N 5mm PFG triple resonance 13C enhanced cold probe. 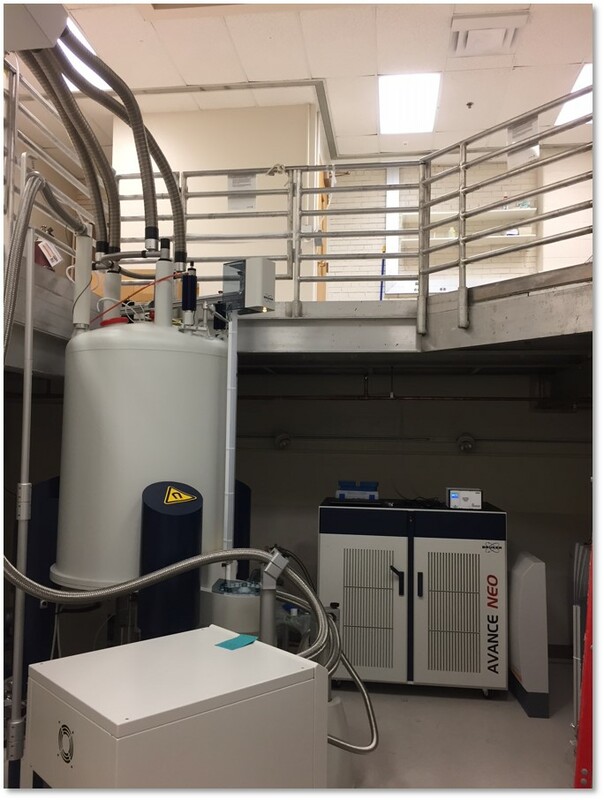 The NMR Data workstation in 1047 Chemistry provides backup for all collected NMR data and provides data analysis software of Topspin, NMRFAM-Sparky and NMRViewJ, and HP Laserjet color printer. 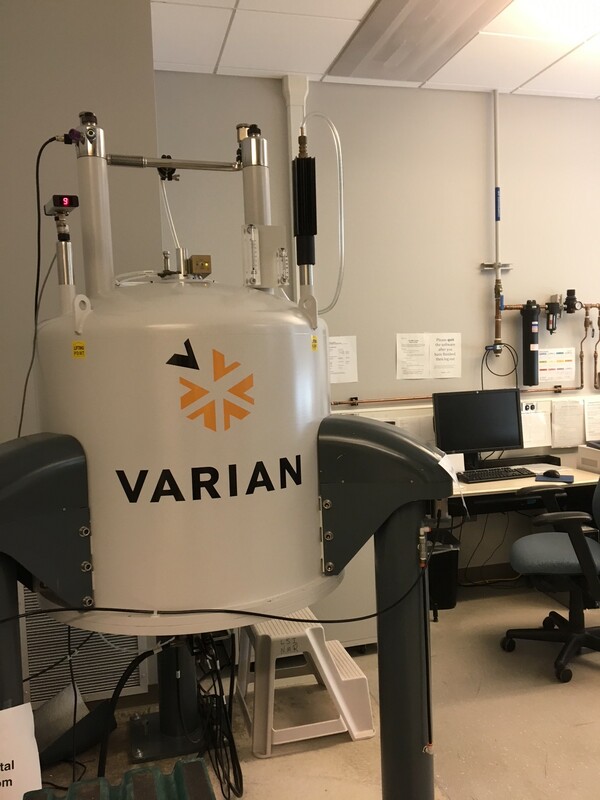 The Varian 400 MHz NMR and 600 MHz NMR are the state-of-the-art instruments, used for the structural analysis of small molecule compounds. They are “walk-up” instruments for UM researchers. We offer open-use and full-service data acquisition and structure analysis. The users of these instruments are mainly composed of organic chemists who check the synthetic structures of starting material, intermediate compounds, and final products; and natural product chemists who characterize/identify unknown structures of purified samples from various biological matrices. 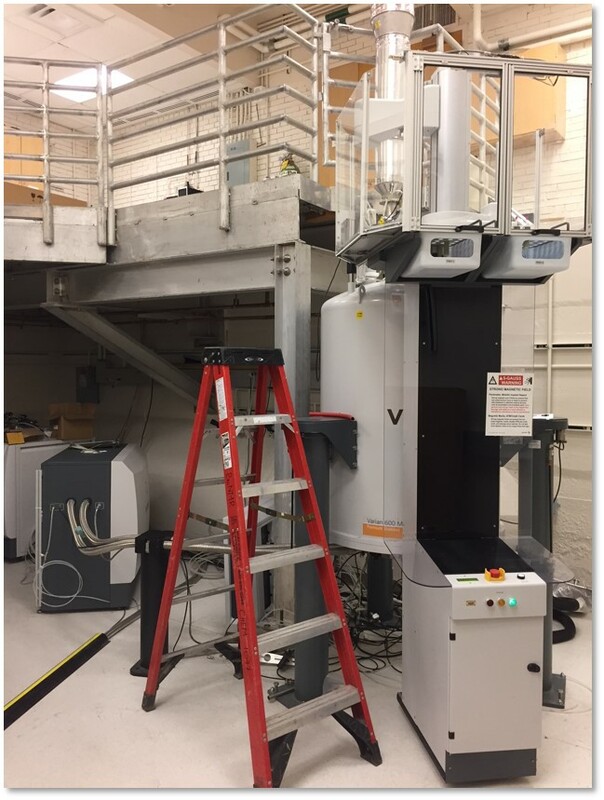 Agilent 400 NMR spectrometer has a Magnex 400/54/ASC active shielded premium magnet and a Varian 400-MR console. It is equipped with a 5 mm ATB PFG 1H/19F/X inverse probe. 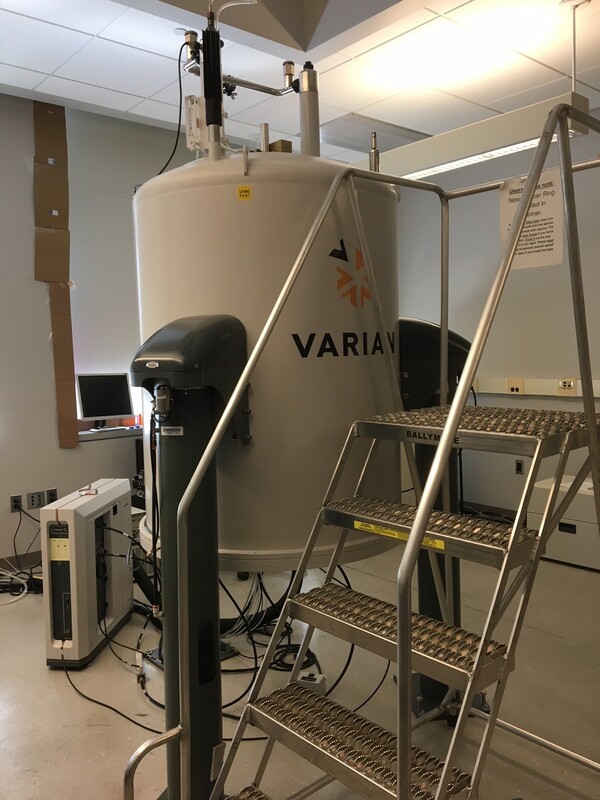 Agilent 600 NMR spectrometer has a Magnex 600/54 active shielded premium magnet and a Varian NMR System console. It is equipped with a 5 mm DB AUTOX PFG broadband probe. The NMR Data workstation in 3214 LSI provides data analysis software of VNMRJ and MNova, and a Xerox Phaser 6600 duplex color printer.